Midwestern County began looking for a heating system to replace its burner system, which had been heating emulsions too quickly. Eventually, they decided to retrofit its distributor truck with an electric heat system manufactured by Process Heating Company. 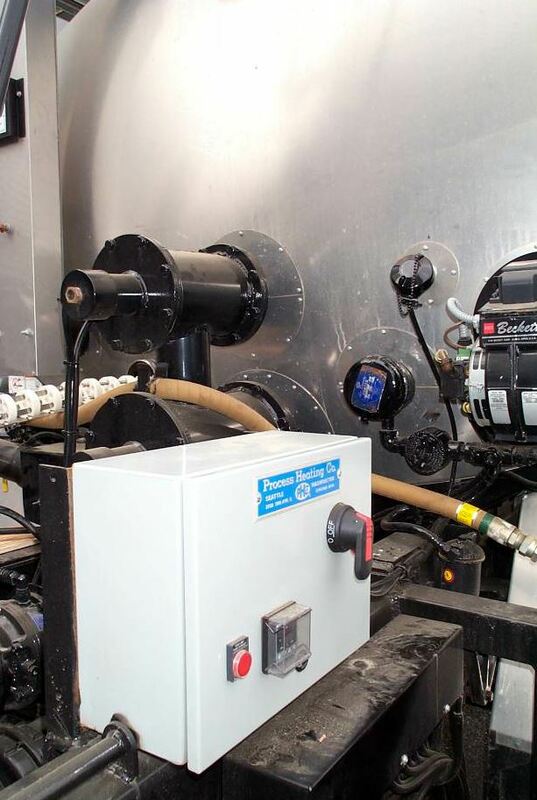 Four years ago, a fast-growing county in the Midwest was presented with an opportunity to improve the asphalt emulsion heating process for its oil distributor truck. 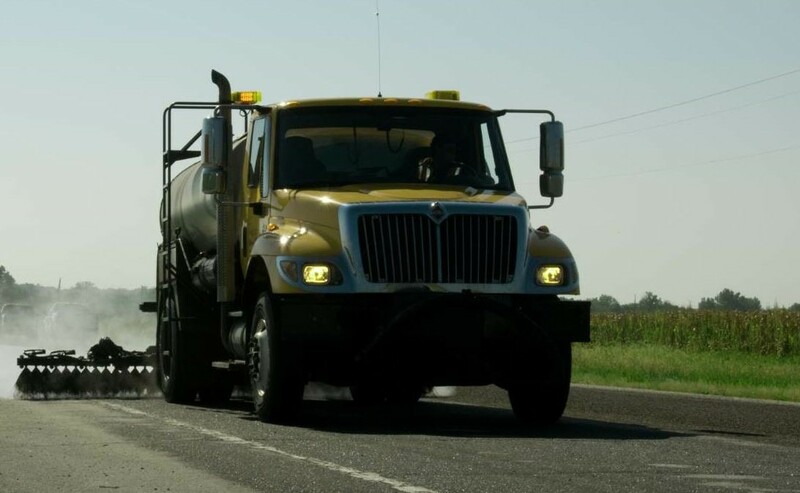 With 2,400 shared highway lane miles to maintain (including 700 lane miles under its sole infrastructure/asset responsibility), this county operates a proactive highway maintenance program that works to ensure its efforts make the best use of annual budget money. 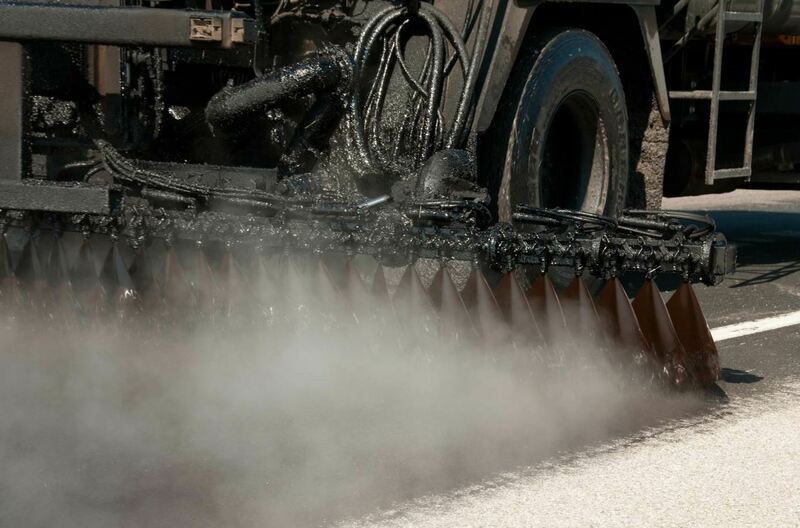 The maintenance team is knowledgeable and forward-thinking about the products it uses, and one product it fully believes in is asphalt emulsion for tack spraying, chip seal, and spray patching. The truck provides heated emulsion for the county’s two spray patcher machines, allowing them to remain working during an entire shift without returning to the shop for additional material. An asphalt emulsion that is too cool will not flow properly, which can cause issues with the distributor’s pumps. If it is too hot, it can separate in the tank; the water bakes out of the mixture, causing coking and damage to the emulsion, resulting in the need to drain and clean the tank and flue. 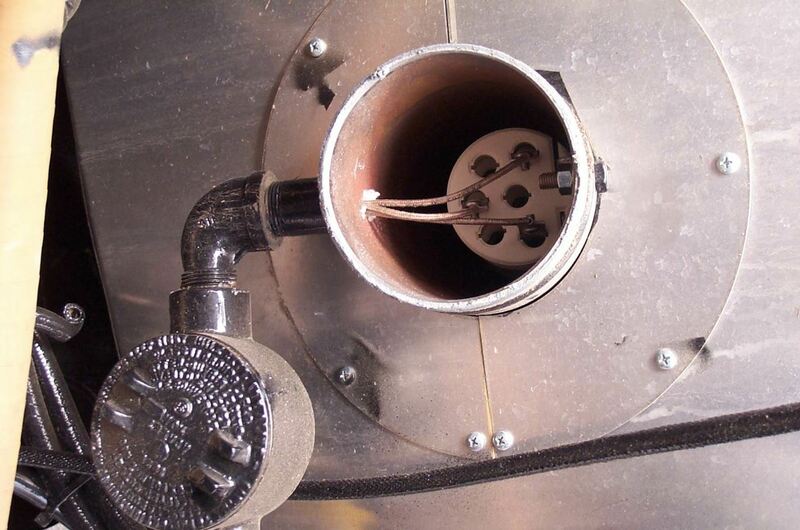 “The LP gas burner we had on our distributor truck heated the emulsions we used too quickly. They became too hot, and the whole system was brutal on the material, so we had been looking for some time for a heating system that could replace the burner system,” notes the maintenance foreman. That’s when Frank Connelly, president of RCM Specialties, a Hastings, Minnesota-based distributor of emulsion and spray patching equipment, suggested that the county retrofit its distributor truck with an electric heat system manufactured by Process Heating Company (PHCo), based in Seattle, Washington. The county maintenance foreman says he was skeptical of the idea at first. But once he saw how PHCo’s Lo-Density® Rigid Tubular Drywell Tank Heater worked on a rental distributor truck RCM had in its fleet, he became convinced that the system might be the best solution for the county’s emulsion heating issues. The retrofit process for the drop-in heater included installing custom drywell tubes and conduit and mounting the controller. Connelly presented two choices for the county to retrofit its distributor truck: purchase a PHCo drop-in heater kit that can be installed via the truck’s manhole, or purchase a retrofit kit that requires modifying the tank from the rear and installing drywell-style heating elements that allow servicing the elements without draining the tank. The prices are comparable between the two kits. The county opted for the drop-in heater kit for its distributor truck. 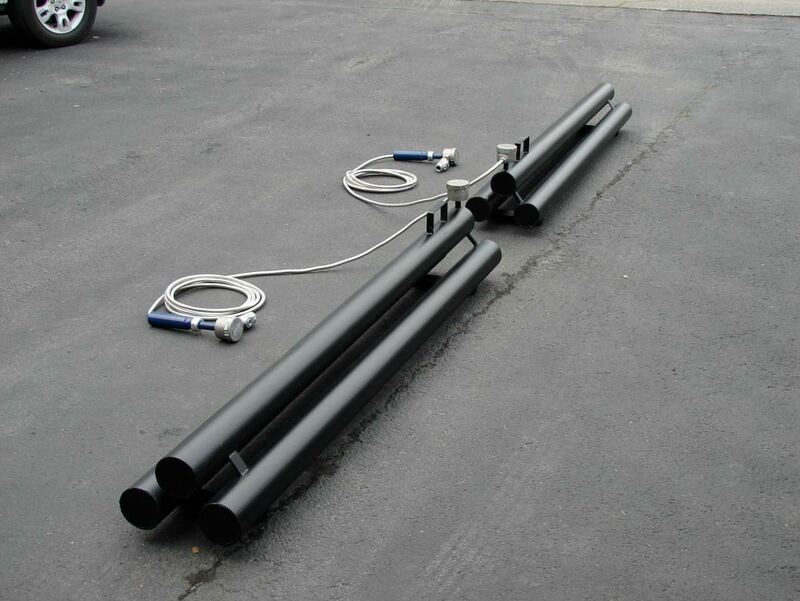 The retrofit process included installing custom drywell tubes and conduit and mounting the controller. The drywell tubes run beneath the tank’s baffles and did not require removing or modifying the existing heat tubes from the original burner system. Although the drywell tubes were installed via the manhole, a hole was drilled into the top of the tank for the electrical conduit to exit and connect with the controller. Midwestern County chose the drop-in heater for its distributor truck. The year of 2017 was the county’s fourth season using the PHCo electric heat system with its distributor truck. “We’ve gone from using it just a few times a year to having crews fight over using it,” says the maintenance foreman. The electric heating system allows a crew member to plug the heater in at the end of the day or over a weekend, and it maintains emulsion at the correct temperature. The result is that the truck is ready to begin work immediately in the morning, without waiting on burners to heat the asphalt at the beginning of the shift. 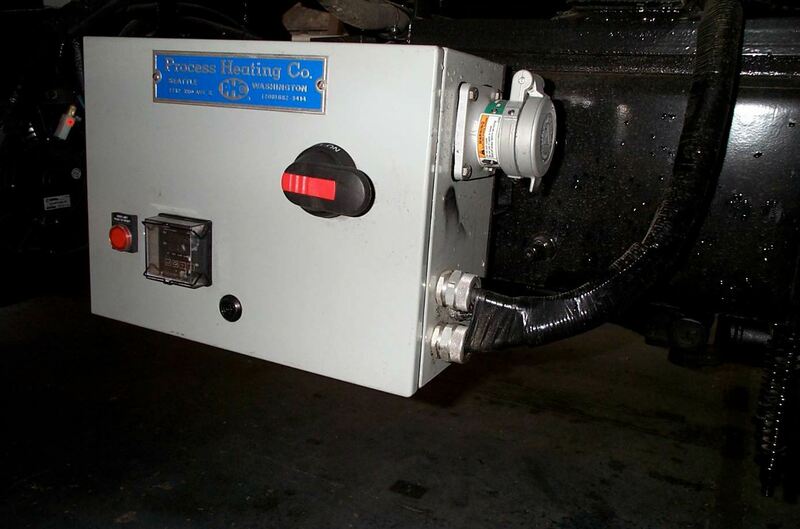 Because the county’s electric distributor truck heater can keep the emulsion material at the correct temperature overnight or over a weekend, it has eliminated the need for the maintenance crew to use all of the emulsion that was in the truck during a shift or pump the remainder to the main storage tank. Either process required the emulsion to be pumped back to the truck at the start of the next shift and then brought up to the correct temperature — which was highly inefficient. The county has also realized additional benefits since it installed the truck’s electric tank heater, including better safety for crew members. The maintenance foreman points to incidents where the truck’s former LP gas burners had created issues with flameout or flashback. These risks have been eliminated because the electric heaters have no open flame. In addition to improving productivity, safety and asphalt/emulsion quality, Lo-Density electric heat also can reduce operating costs for distributor trucks. The overnight maintenance of asphalt/emulsion temperatures via electric heat requires less energy and results in lower costs than using LPG or diesel burners to raise the material to the correct temperature. Electric heat offers 100 percent energy efficiency because all of the energy is used to heat, when compared to the less efficient burning of fossil fuel. And that efficiency will always remain at 100 percent, even after many years of operation, and without costly maintenance. Although the drywell tubes, which run beneath the tank’s baffles, were installed via the manhole, a hole was drilled into the top of the tank for the electrical conduit to exit and connect with the controller. Electric heat is friendly to the environment because it heats without combustion or emissions, and it eliminates a common source of fuel spills. Electric heat also eliminates stacks that must be monitored for emissions, along with eliminating air quality permits that must be pursued and maintained. For the latter operation, he explains that the truck provides heated emulsion for the county’s two spray patcher machines, allowing them to remain working during an entire shift without returning to the shop for additional material. For the spray patchers, in particular, the foreman says he appreciates the fact that the distributor truck can keep the emulsion heated overnight. “We spray patch year-round for a better, more permanent pothole patch. In the winters, we’ve had outside temperatures below zero at the beginning of shifts, and the emulsion is still at the right temperature,” he says.